Exhibition Dates: October 4-29, 2017. 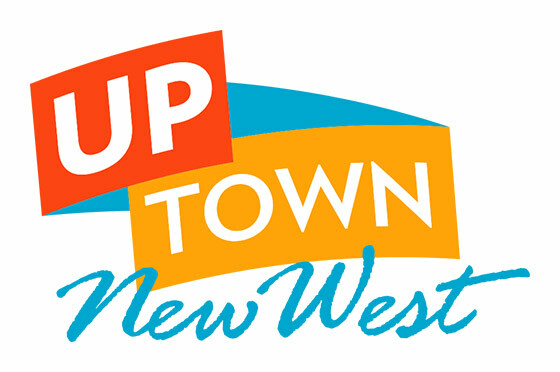 The Arts Council of New Westminster (ACNW) is a non-profit organization dedicated to the visual, literary and performing arts. Its aim is to bring the community together through the Arts. The Volunteers at ACNW are essential to the work we do to promote the arts, dedicating their time and energy to create more profound connections to the community of New Westminster. 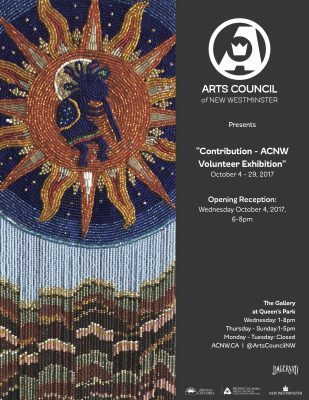 “Contribution: ACNW Volunteer Exhibition” explores the artistic practices of Robin Chui, Julie Epp, Steve Holmes, Keith Oberding, Randy Quickfall, Barb Webb, Betteanne Wilson, and Kat Vedah, who devote their time to The Gallery at Queen’s Park in various volunteer capacities. Their contributions not only make the daily operations of the Gallery possible, but their passion for the Arts enriches the environment of the Arts Council, providing greater opportunities for collaboration within a hub for the Arts in New West.